* Tired of the constraint of the Ethernet cable when surfing the Internet? Do the slow network speed put you in a pickle? Not a good speed, play any games are to no avail? Choose our product! You're worth having a dual-band and powerful Wifi adapter. ①be up to 300Mbps for 2.4Ghz and 867Mbps for 5.8Ghz. ②be matched with 5.8Ghz wifi repeater/ap and wifi router perfectly. ③be available for desktop computer, notebook and window10 tablet PC. 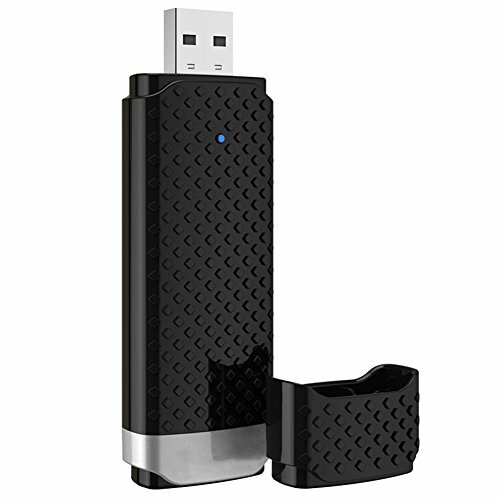 ※ DUAL BAND: the USB wireless adapter supports 2.4G /5.8G dual-band. It avoids the interference problem and ensures the stability and effectiveness of signal transmission. ※ HIGH EFFICIENCY: High-speed transmission network, 11AC and 1200Mbps wireless adapter. It can be up to 300Mbps for 2.4Ghz and 867Mbps for 5.8Ghz. ※ STEADY SINGAL : The transmission rate of USB 3.0 is ten times as fast as USB 2.0. By using our wireless adapter, you can enjoy the HD movies, online video or 3D games smoothly. ※ WIDE SUPPORT: Wireless access is available for desktop computer, notebook and window10 tablet PC, avoiding the problem of wiring. It offers you a powerful wireless network. No more space constraints. If you have any questions about this product by SmartElite, contact us by completing and submitting the form below. If you are looking for a specif part number, please include it with your message.